Christian Dior inspired cocktails and meal at The Town House in South Kensington. The ‘Christian Dior – Designer of Dreams’ exhibition at The Victoria & Albert Museum is one hot ticket right now. So popular in fact that the museum has recently made the decision to extend the exhibition’s duration by seven weeks until September 2019. 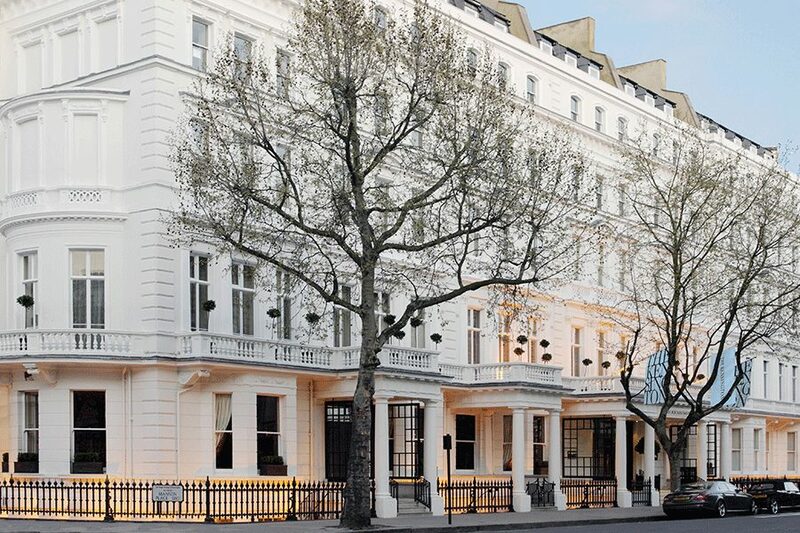 On the hunt for a birthday treat for my sister, I discover an exclusive foodie package at Town House at The Kensington . The experience includes bespoke Dior cocktails at the hotel’s K Bar, a three-course meal at Town House for two, as well as tickets to the exhibition. Serious sister points in the making, I book it and am delighted to find that it’s a pretty clever way to bypass the ‘sold-out’ scenario I had come across when trying to book tickets for just the exhibition. I pop in into the hotel, which is set in an enormous and beautiful townhouse a short walk away from the museum, to collect our tickets. It’s a chance for a quick look around at the lovely interiors and suss out where we’ll be enjoying dinner a few hours later. Heading back to the exhibition, clutching our tickets, we are delighted to be able to walk straight past the (very long) queue and head straight in. The exhibition is a striking lesson in fashion history, celebrating the life and history of the famed designer. It’s the largest retrospective of the fashion house ever staged in the UK and the first fashion exhibition to be held in the museum’s renovated Sainsbury gallery. One of the most popular pieces in the section includes the asymmetric tulle gown Dior created for Princess Margaret’s 21st birthday celebrations in 1951 which was later immortalised in the royal’s official portrait by Cecil Beaton. Also on display are garments from the post-war Savoy show that made Dior’s name in England, as well as photographs, memorabilia and fashions created by the designers who took over the house after his death, including Yves Saint Laurent and John Galliano. 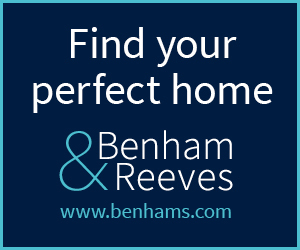 It’s a truly beautifully curated exhibition, with breathtakingly lovely pieces set out across several rooms, all decorated in keeping with the clothes. One is full of hand-cut paper flowers draped across the ceiling and another showcases recent celebrities wearing Dior at awards shows with a pretty light show as the background. After a very happy couple of hours enthusing over beautiful frocks we are ready for a cocktail. 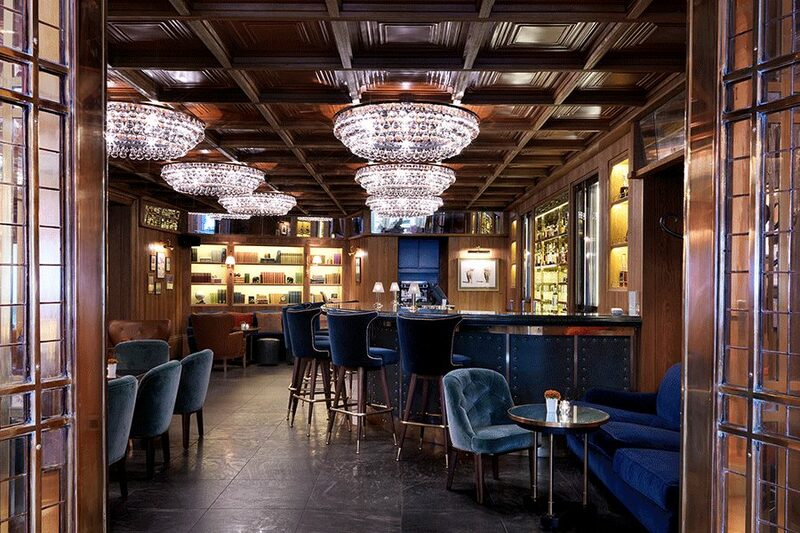 We stroll back to the Townhouse and settle in at the hotel’s sumptuous K Bar. It’s an intimate space complete with leather wingback chairs and super comfy teal and violet velvet sofas. 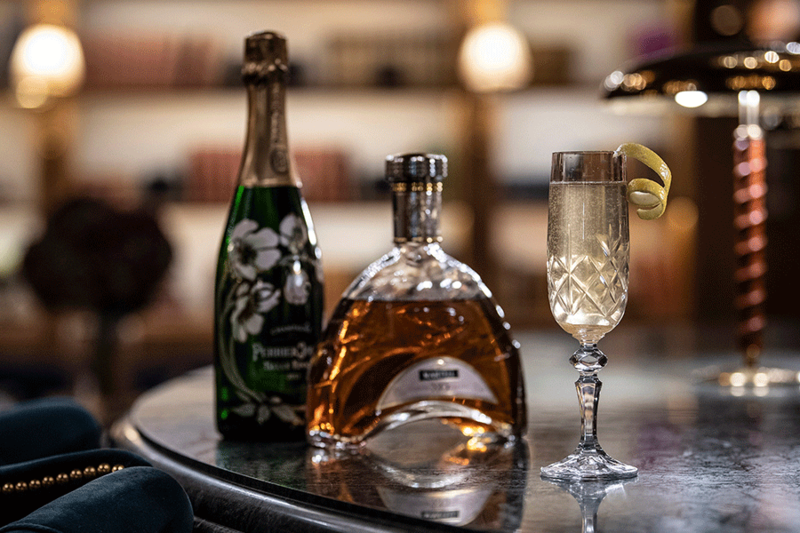 The specially created ‘Corolle’ cocktail, is inspired by Dior’s first ever collection, ‘La Linge Corolle’ (‘The Flower Line’) and is a luxurious twist on the classic ‘French 75’ using premium cognac, Champagne and served in a cut crystal flute. We feel terribly elegant drinking it in such luxurious surroundings, just wishing that we could be dressed in Dior garb too as we are definitely upstaged by our drinks! We tuck into delicious smoked almonds before heading into the hotel’s restaurant, Town House and perusing the delicious seasonal menu. Made up of interconnected drawing rooms, Town House boasts open fireplaces, stylish furniture and stunning artwork and again feels very intimate and private. We both opt for the seared tuna with a soy and ginger dressing to start and it’s matched by a crisp house white wine. For our mains my sister chooses the dry-aged beef fillet and it’s cooked to perfection. She’s a steak fanatic and proclaims this to be one of the best she’s tasted. I have the Dover sole (which can be served both on or off the bone and grilled or meuniére according to preference) and it’s melt in the mouth tender and goes very well with the sweet potato fries that we tuck into with gusto. We are too full up to eat much for dessert but manage a palate-cleansing and refreshingly sharp sorbet. All in all a wonderful experience and such a treat to match culture with a sophisticatedly themed dinner. Book it and skip the queues!